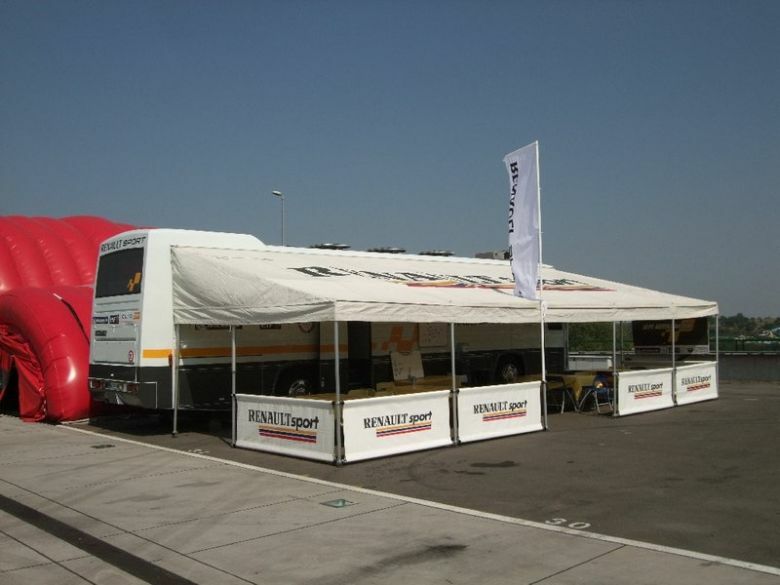 Renault Sport Hospitality 2 x air conditoion 1 x elektro agregat Only 67.000 kilometers General revision motor New white paint 2009 2 x fully closed tents 12 x 4,5 meters Registered as Special vehicle not Bus! Driven with C -category! Homologation for all Europe! More info and photos on e-mail! Neoplan bus with Electric Tent!! !